Kids, in the wee hours of the morning, after a 16-hour face-to-face bargaining session, the NHL and NHLPA finally found common ground. Here is the best news any of us could have received over the last few months. Hockey will returned in a shortened season, and those of you who want to fill the arenas and cheer your local heroes on can now do so. 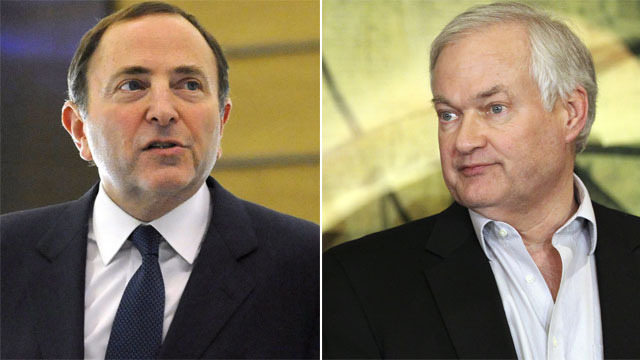 The hardest work for the NHL and NHLPA comes now, though, as they look to repair the damage done. While die-hard fans will certainly come back, attracting the casual fan back will take some serious work. I will watch the NHL on TV. I can honestly say that after having watched the World Junior Championship and the Spengler Cup that I am missing regularly broadcasted hockey on TV. I really was enjoying the AHL, but Sportsnet just wasn't airing enough of them to fill the void and the CHL games were hard to get into since I have no affiliation with the teams being shown. I can honestly say that I have no interest in supporting the NHL by buying merchandise or tickets at this point, and I can categorize myself as a die-hard fan. At best, we'll have hockey for the next ten years as per the CBA expiration date. At worst, we'll have hockey for eight years if either side decides to opt out of this new deal. At any rate, hockey will be played without interruption until 2021. I don't have a crystal ball, and I am far from being an accurate forecaster of any sort. All I now is that if we have to go through this kind of garbage in eight, nine, or ten years from now, I'm not sure I'm coming back. There have been a lot of negotiating over the last week, but why couldn't this have been done in July and August? If you take out the times when the two sides didn't meet, two months would have been more than enough time to come to this same agreement. And while I get that neither side wanted to "lose" this negotiation in that both sides felt the other had more to give, the one factor that both sides needed more than anything else was the fans. I'm still a hockey fan and I will watch the NHL game come back through the various media outlets that carry their broadcasts. It will just take me some time to commit to the game with my wallet again.